This week was one of my last weeks in London (or maybe the last one) and I used my time to catch up on the sight seeing I haven’t done in the past 2 years living here. The great thing about it, is that discovering new places in London also means discovering new wine merchants, yay! On my way to Victoria and Albert museum (one of the great museums not to miss in London!) I walked by that small wine shop called The Sampler. Small but mighty, the shop was full of red, white, sweet and sparkling wines from around the world. It wa s a great pleasure to go through their collection of wines and I could have bought loads of bottles if I had a car. The shop is also interesting because it has a “wine learning side” with some books about wines on a table and they have these “sample” machines, each machine has several wines and it allows you to get a sample, a half glass or a full glass of the wine of your choice. So you can get your sample of wine and then sit down and read some books about wine. The only downside is that you have to pay even if it’s just to get a sample of the wine, whereas in other shops, tasting wine is free. Since we’re talking about wine merchants in London, I would recommend to anyone living/ visiting the city to go to Laithwaites. 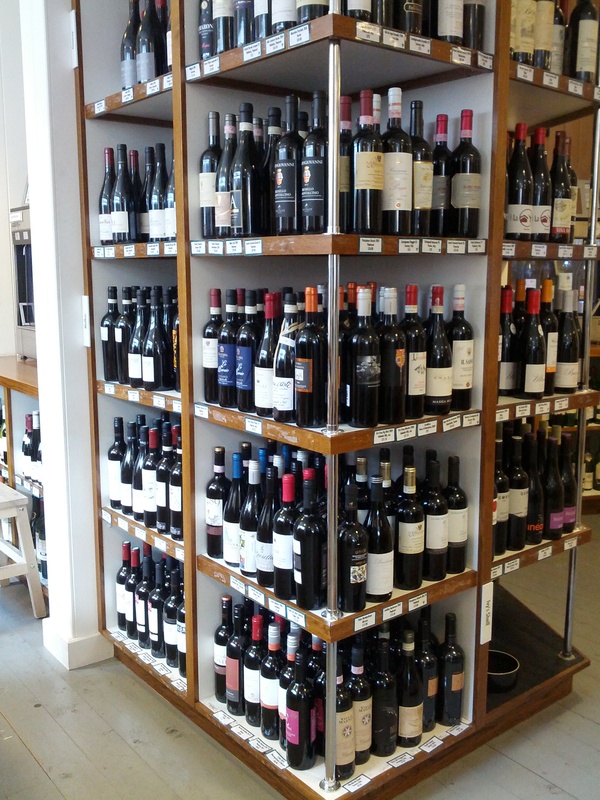 Located near London Bridge and the Borough market, Laithwaites is a very nice and big wine shop with a wide selection of wines from around the world. Their staff is very helpfull and knowledgeable about wines and they’re always happy to give you some wine to taste, especially if you go there at the end of the day. They have good and very affordable wines as well as some higher quality/ price wines. That was definitely my favourite wine shop in the city! Now let’s go back to our wine of the week, a red from Ribera del Duero. Located in the north of Spain, the region is characterised by a largely flat, rocky terrain and grows the Tempranillo grape, which is the diminutive for temprano in Spanish which means “early”. In fact, this grape variety ripens several weeks before other Spanish variety. The grape is also grown in many regions of the new world but the focus is now on Spain as they are being famous for their high quality wines. Dark red colour with purple sheens and slow legs. This wine offers many earthy aromas such as undergrowth and wood, we can also smell the alcohol which is fair since it has 14% of alcohol. On the palate, dry and full bodied with an acidic finish we recognise those earthy flavours with a long length in mouth. This is indeed a very nice wine, which can be enjoyed alone or with some warm stews or meat and poultry. 24 Jun	This entry was published on June 24, 2012 at 9:58 am. It’s filed under Red Wines, Spain, Tasting reviews and tagged laithwaites, red wine, Ribera del Duero, Spain, the sampler wine merchant, wine, wine review, wine shop london. Bookmark the permalink. Follow any comments here with the RSS feed for this post.